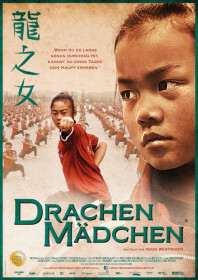 Powerful German documentary which provides a candid insight into life at the Shaolin Tagou Wushu School in Henan province, China. The film follows three young girls during their training for state competitions. The school is home to 35,000 children who live a militaristic, meagre and gruelling existence devoted to China’s national sport, wushu. The girls wake at 5.30am every day and train until lights out. They are measured in everything they do, from the way they march to how they sit. The girls compare battle scars – including frostbite – and when they fall out of line, the punishments are severe. Xin Chenxi is nine, and like most of the girls featured, she is from a provincial, poor and rural background. She sees her family roughly every six months. As China’s industrial revolution has caused many of working age to move into the cities, the kung fu school is seen as an outlet for many absent parents to provide discipline, strength, and education for their children. But the film hints at a wider, unspoken cultural conundrum; about how the country’s one child policy has favoured boys and marginalised a generation of girls who lack a sense of belonging. The film does feature a 16 year old runaway in Shanghai who was abandoned by her mother and raised by foster parents. She was sent to Shaolin but fled to escape beatings from the teachers. Crying is said to be a sign of weakness (Xin has this written on her bedpost), and some of the most heartbreaking moments are when the girls are shown suppressing their tears. Chen Xi, 15, is shown struggling in her sanshou (Chinese kickboxing) lessons, and holding back tears as she is pummelled with kicks. Most of their tears are reserved for their families, who they all miss terribly. Their living conditions resemble a borstal – one girl complains of finding insects in their food – but the documentary is not a complete horror show, and the girls are shown to have a close bond: having a dance-off, staring at their phones and talking about boys. In other words, behaving like typical young girls. This type of school is a breeding ground for martial arts movie stars, but not all of these kids are likely to become the next Jet Li. You wonder whether such an extreme upbringing is actually helping the girls prepare for the realities of life or robbing them of their youth; and whether the ends justifies the means, or simply satisfies a greater nationalistic ideal. Interestingly, the Shanghai runaway is shown to have since opened up her own salon, finding peace and purpose outside of kung fu. The film is even-handed, shocking at times, and completely fascinating throughout.